Sitting at Vino Volo Wine Bar, a little gem of a place in Boston’s Logan Airport as I await to board my flight back to Dublin, I get a wave of inspiration for my next blog. Casting a watchful eye on the eager passengers around me, I can’t help but notice the different styles of clothing they parade and scurry around in, as they too await their flight. On a normal travel day, I opt for smart. I usually wear my dark denim jeans with a wedge boot (ankle or above knee), or in summer, a wedge sandal. A blazer is usually a good statement piece as it tends to go with everything. it’s especially good for travel since it is not too heavy to carry or to wear. Folding up nicel? Check! However today I am breaking my own rule. The reason why is because yesterday I bought a sassy pair of trainers and I was just dying to show ’em off! Here I have paired my Puma runners with my ole reliable black yoga pants by Lululemon Athletica! A recent trip to Penney’s in Dublin and a purchase of a wool mix oversized black sweater allowed me to complete my baggy, comfortable look. I cannot leave the house without my beloved Kate Spade travel purse. When it comes to bags, totes and accessories I have an obsession with the size. Yes ladies; large! 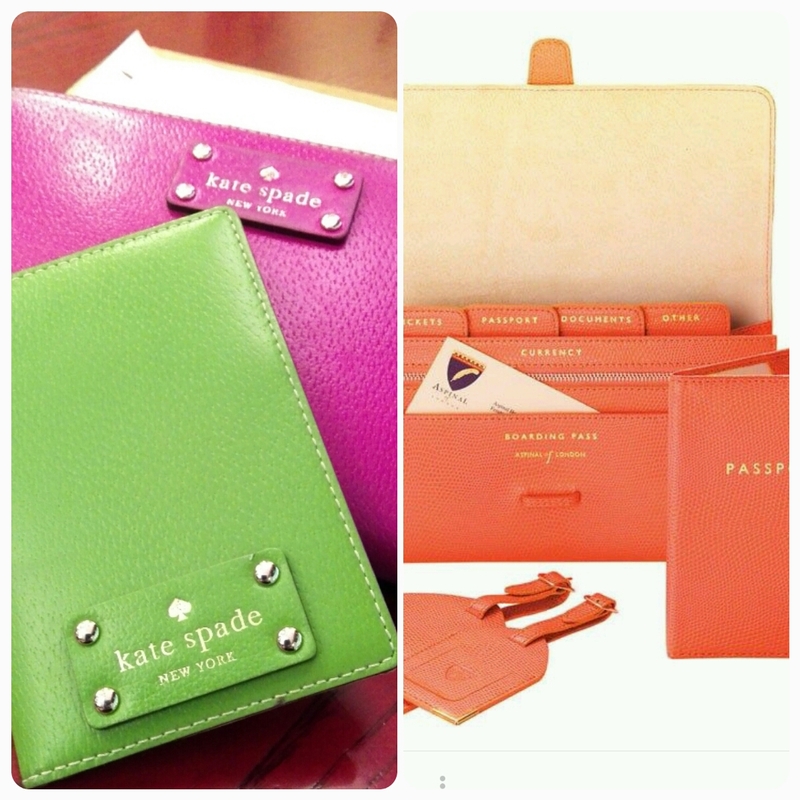 My large cerise travel wallet and apple green passport cover accompany my everywhere I go. 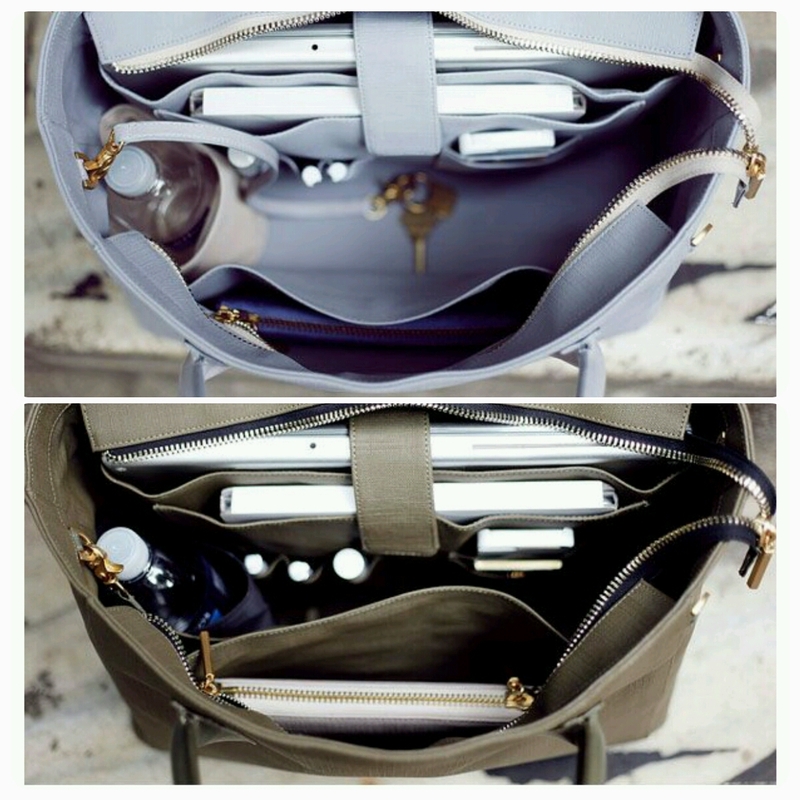 My Christmas wishlist has already begun with a want for the Classic Travel Collection from Aspinal of London! What about the bag? Don’t fret! Take a big tote. You can toss it over your shoulder. It fits everything from water bottles and books to toilitrees and you don’t have to worry about the chaos inside. Opt for an large Louis Vuitton carryall like mine, or the Dagne Dover Workbag (as pictured below) works just nicely with all those delicious hidden compartments. My next trip to Milan next month however, I will be opting for the more sophisticated look since it is a trip purely to binge on the eternal fashionable streets frequented by the even more fashionable locals. Italy- Here I come! Until then, a transatlantic flight awaits!